For more details on any of the courses below, click on the links. To book click here. For urgent booking enquiries, please call the general switchboard on +44 (0) 207 820 6300. Please note that you will be invoiced and payment is required before the training date – our accounts team will take credit card payments by telephone. Please book before the deadline where one is quoted. Contact us to check availability if you want to place a booking after the deadline. All prices are subject to U.K. VAT. Fee includes refreshments, lunch and training materials. Booking and payment must be received at least 7 days before the course unless agreed otherwise when you book. If payment is not received at least 24 hours before the training date, a late booking administration charge of £20 may be applied. Please read our full terms and conditions before booking. Cancellations and changes to your booking: Refunds and transfers may not always be possible. Please check our terms and conditions before booking your place. 9 May: Executive briefing: Social Return on Investment (SROI) – London. Book here by 28 April. 5-6 June: Measuring Social Impact – London. Book here by 7 May. 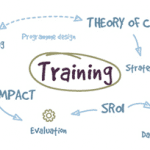 12 June: Creating a Theory of Change – London. Book here by 15 May. 26-27 June: SROI accredited training – London. Book here by 15 May. Please note this course sells out quickly. If you have three or more people wanting to join our open training but cannot make the dates above, please contact us. Our charity prices are only applicable to charities registered with the UK Charities Commission or an equivalent non-UK charities registration body and who are able to quote a registered charity number. Our standard prices apply to all other organisations and individuals – including students, sole traders, social enterprises, public services, CICs, and community benefit societies. We aim to keep all our prices as low as possible. Multiple booking discount: If we can invoice more than one booking on a single invoice there is an administration discount of £25 on the total invoice value. Subscriber discount: Sign up here for updates and save on any open training course. You can unsubscribe at any time. Only one subscriber discount can be applied to each booking form and it applies only to the person subscribing . Value for Money training: Please see the IMA website for prices. All prices are subject to U.K. VAT. Fee includes refreshments, lunch and training materials. Booking and payment must be received at least 7 days before the course unless agreed otherwise when you book. If payment is received after the published deadlines, a late booking administration charge of £20 may be applied. Please read our full terms and conditions before booking. We work with IMA International to help them deliver training aimed specifically at those working within international development. Next training date to be confirmed: Value for Money (In partnership with IMA) – London. Book here. Module 1: Macroeconomic challenges: Introduces participants to new economic thinking in relation to key economic issues and provides techniques to critically review these issues. Module 2: Effective organisations in the face of macro level challenges: Uncovers the assumptions, both personal and organisational, which lie behind every intervention in development and opens a debate on how to deal with complexity from an organisational leadership perspective. Module 3: Effective leaders in a complex world: An opportunity to learn and experience the process of becoming an effective leader within your organisation in the face of macro level challenges. For dates and locations, and to book click here.